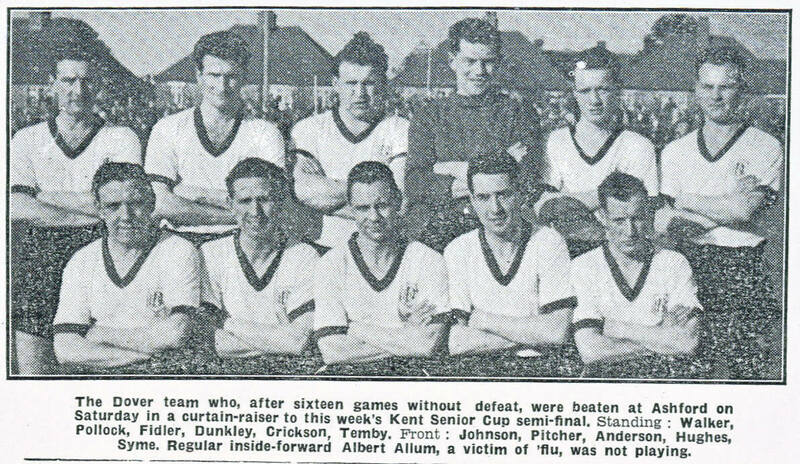 As the caption says, this was the team that lost 2-0 at Ashford Town on 28th.February, 1959. We then lost there 1-0 in the Semi. Back Row(Left to Right): Ron Walker, Stewart Pollock, Tom Fidler, George Dunkley, Tommy Crickson, Bill Temby. Front Row(Left to Right): Johnny Johnson, Gordon Pitcher, Freddie Anderson, Arthur Hughes, Bill Syme.